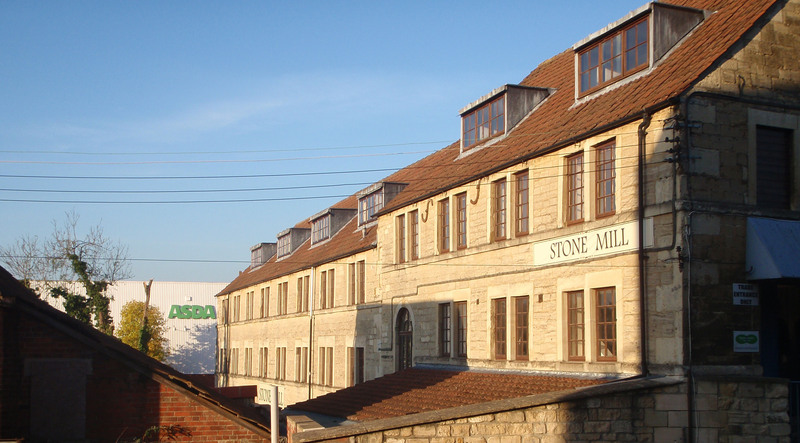 Stone Mill is believed to have been used at least partly as a fulling mill from as early as 1602 (fulling is the cleansing of cloth, particularly wool, from oil, dirt and other impurities). Towards the end of the 18th century it was extensively developed for large scale cloth manufacture, making use of advances in water power and mechanical gears. 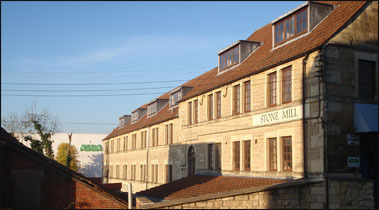 In 1817 the Stone Mill was enlarged by adding a beam engine house at the north-end incorporating a 36 h.p. steam engine. 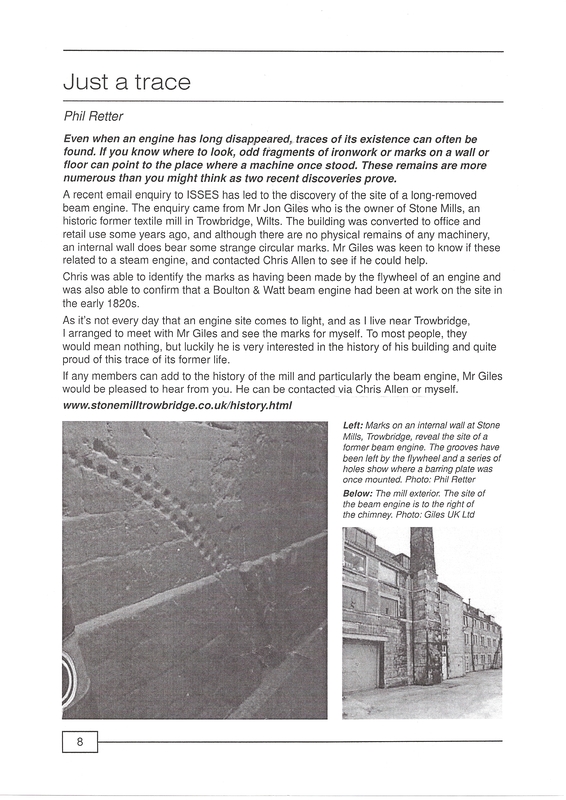 In 1906 it was sold to Samuel Salter and Co. being used largely for storage until 1968, when machinery was again installed. It finally ceased operation as a cloth mill in 1982. There followed a series of extensive redevelopments including removal of the chimney formerly serving the beam engine, and removal of the lift shaft. 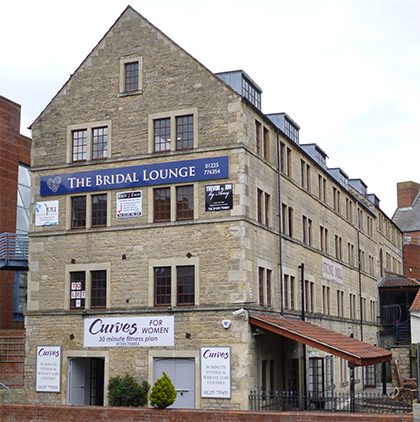 Permission was granted for change of use to accomodate restaurant, retail and office uses. 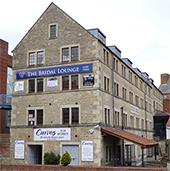 Access from the Shires Centre was provided by a new footbridge and covered canopy, and in 2001 plans were approved to form a Public House, and a Market Hall. It then became known as 'The Mill Shopping Centre', home to many small retailers. The 'Murphy's Rest' / 'Shires Tavern' public house never actually opened for business. 2. From the covered walkway from within the Shires shopping centre opposite 'Iceland'. 3. From the Asda car park. Please choose below what sort of unit you are interested in.